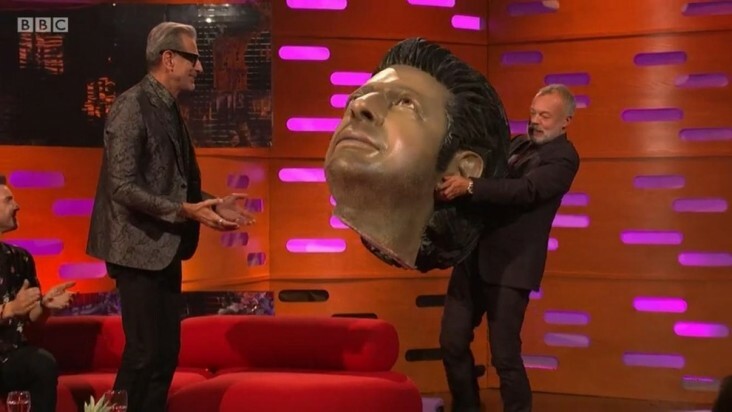 Nicholas Alexander fabricated a 7 metre long sculpture of Jeff Goldblum in his character of Dr. Ian Malcolm from Jurassic Park. The sculpture was erected in front of Tower Bridge to commemorate the 25th anniversary of Jurassic Park. Manufactured from polystyrene and then finished in scenic paints the result was a true hit with fans and even made its way on to the Graham Norton Show.